Just perfect place to chill after a long trip, amazing view... all made of wood, beautiful terrace. Affordable price even for campers :) thank you guys! 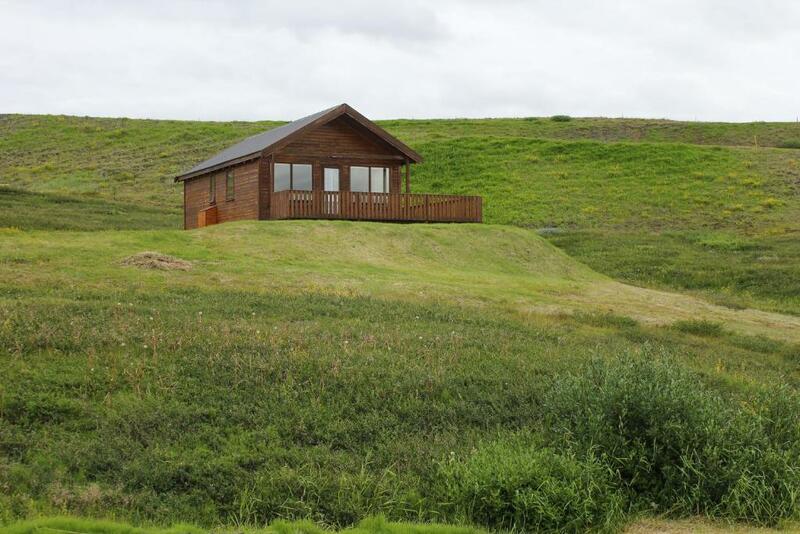 Adorable cabin- plenty of room, great kitchen with an oven, hot tub on our porch, beautiful view of the lake and sunsets, close to all sights in Lake Myvatn, clear signs on the road to find the property, comfortable beds. 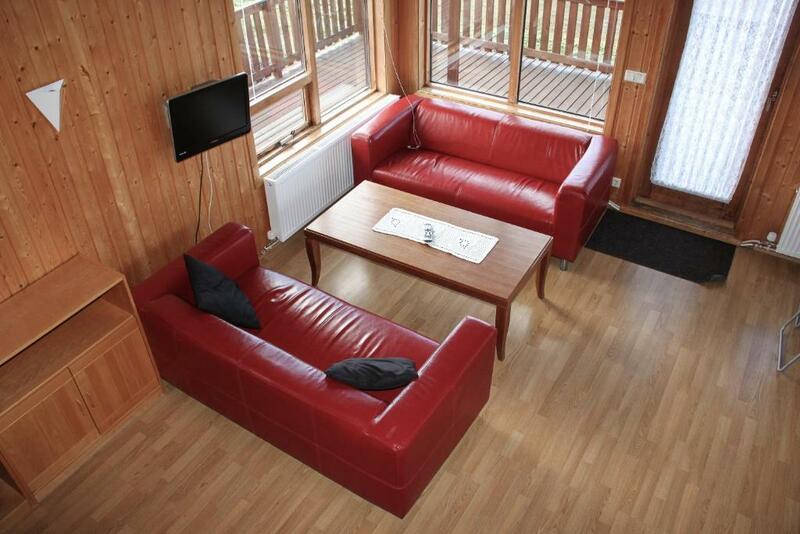 The cottages have a great view of the lake and are efficient. Nice size cottage with a kitchen. Close to lave fields. A whole house to ourselves and super affordable! We absolutely loved our 3 night stay here. It couldn't have been better! We arrived during one of the coldest period in Iceland and the Summer House we booked had frozen pipes, so they gave us the full guesthouse and access to three bedrooms. The new accommodation was somewhat more expensive but we hadn't to pay any extra. It's a very nice hostel! My friends and i love it! Nice and quiet cottage with a view of Myvatn lake, a fully equipped kitchen and a comfortable sofa. Location, Spacious property, Private hot tub on the patio, well equipped kitchen. Very nice place, Perfect localization for ring road trip. Lock in a great price for Hlíd Cottages – rated 8.8 by recent guests! 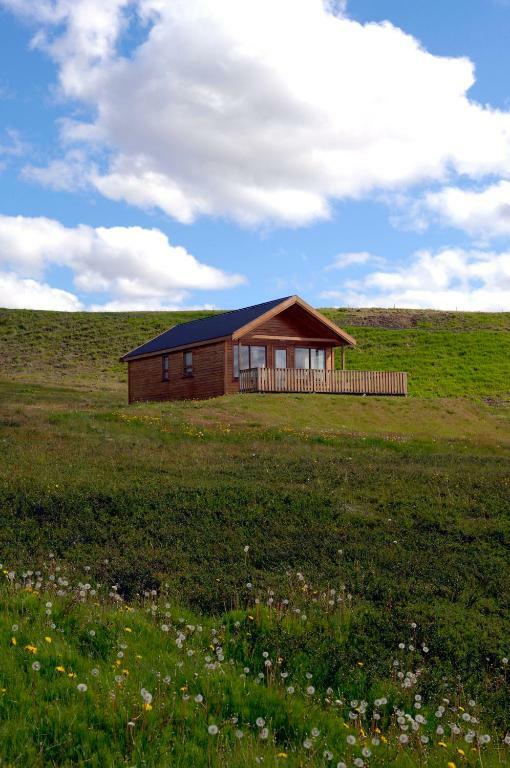 Overlooking Lake Mývatn, this camping site offers cottages with wooden floors, a private bathroom and a terrace. 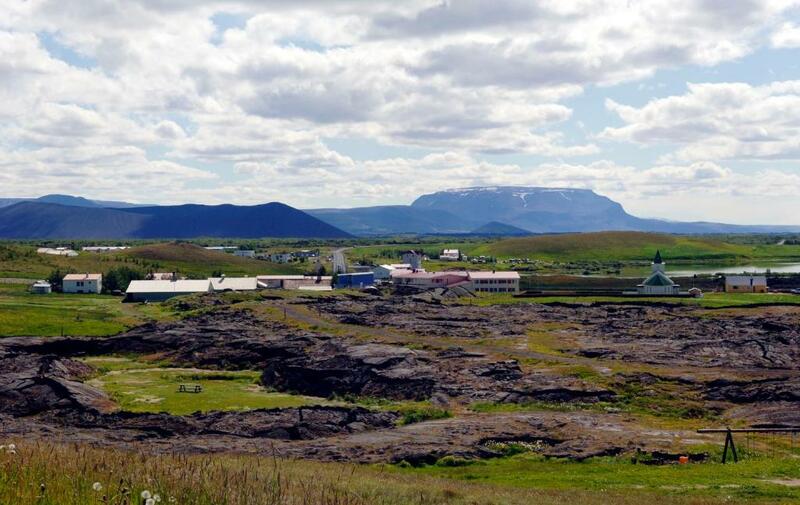 Krossdalur Golf Course is 1,650 feet away, and Reykjahlíd village is 0.6 mi from the cottages. 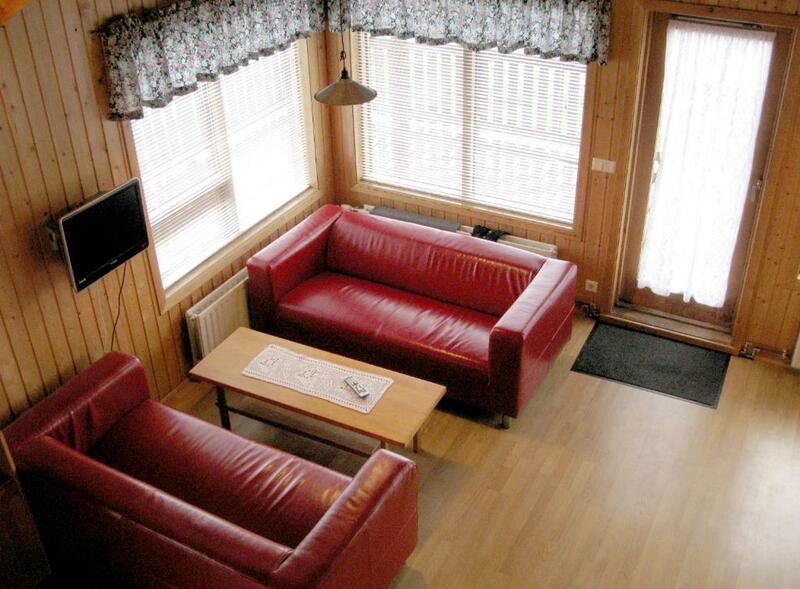 A seating area, flat-screen TV and kitchenette are featured in some units at Hlíd Cottages. Bicycles can be rented on site. Staff at Hlíd Cottages can help arrange Icelandic horse riding trips. Basic groceries are sold at the small on-site grocery store. Breakfast is served each morning in the camp site’s breakfast room. A small guest kitchen is also available. The geothermally heated Mývatn Nature Baths are 1.7 mi from the cottages. This property is also rated for the best value in Myvatn! Guests are getting more for their money when compared to other properties in this city. When would you like to stay at Hlíd Cottages? This spacious cottage features a seating area with flat-screen TV, a kitchenette with cooking hobs, a dining room and a bathroom with a shower. 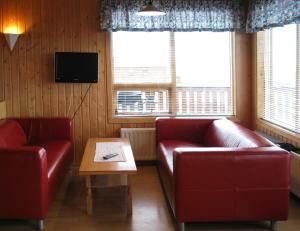 There is also a terrace with views of Lake Myvatn. The cottage features 2 bedrooms, one with 2 twin beds (35 in width) and the other with a double bed (47 in width). House Rules Hlíd Cottages takes special requests – add in the next step! Hlíd Cottages accepts these cards and reserves the right to temporarily hold an amount prior to arrival. If you expect to arrive outside check-in hours, please inform Hlíd Cottages in advance. We expected to stay in the Summer House, but it was frozen when we arrived. They could have told us in advance. The guesthouse has no living room. The heating in both bedrooms are only partly warm. showering room is really small. I'm 164 cm and average weight, the showering is just enough for me. I think it will be too small if anyone is taller or has bigger body than me. The reception is not well marked, it took us while to figure out the location of reception by asking other guest who just walked out from the room. A cosy place with good view overlooking the lake. The individual bedrooms were a little compact. But the spacious living room with dining area & the patio made for it. Very small bathroom and shower. On the booking site it was mentioned that we would have a hot run which was on another house and this could not be changed anymore. The plastic table cloth does not feel cosy. An amazing location, the view over Lake Myvatn was beautiful and it was very peaceful and quiet!